Antelope are known for their unique variations of horns, making them a high demand trophy since man first began hunting. 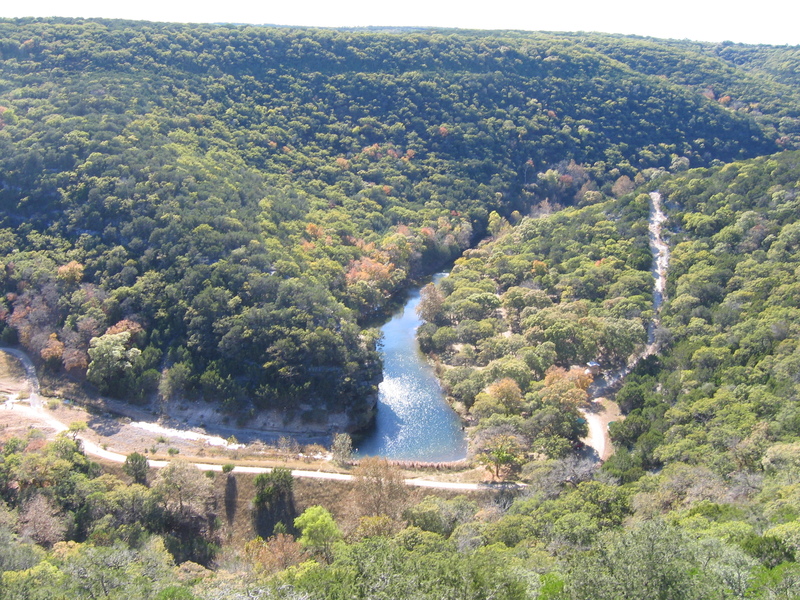 Don't be fooled by stocked ranches with tiny enclosures- LONE OAK takes you on an adventure deep into the heart of Texas wilderness for an experience you'll never forget. You’ll leave with more than an impressive trophy, you’ll have lifelong memories, and new lifelong friends. 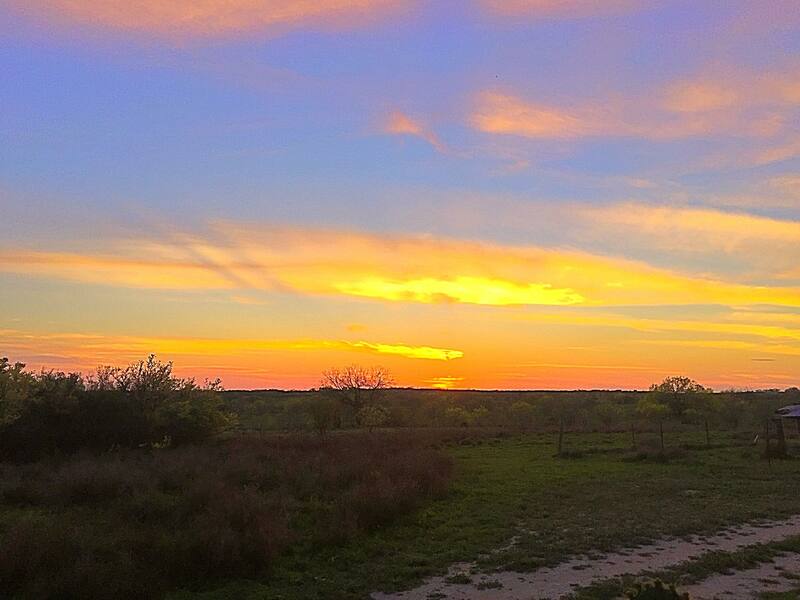 Nestled in south Texas overlooking Texas wine country lies our 10,000 square foot Living Waters Ranch waiting to pamper you. This perfect getaway features guided Addax hunts as well as non-hunting activities ensure the entire family has the time of their life. 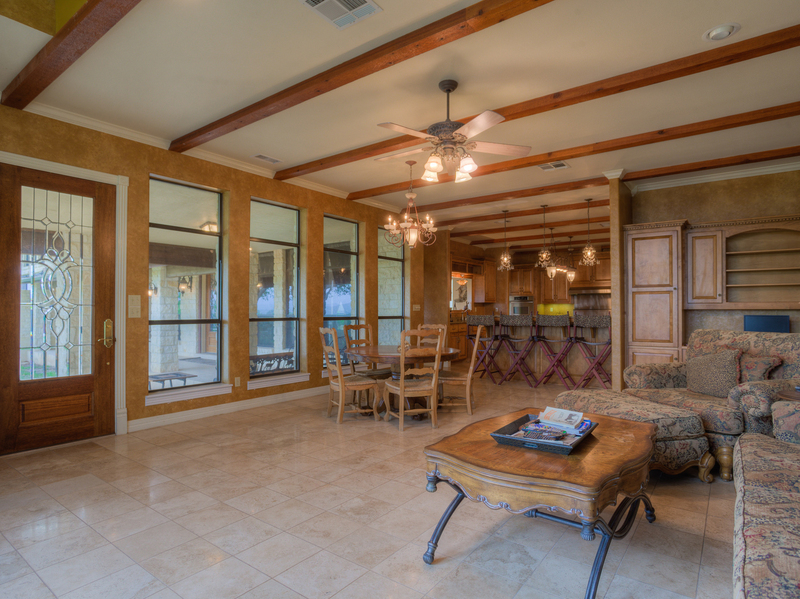 Located deep in the southern rolling hills of Texas brush country, lies this classic western style lodge. The laid-back feel with communal dining gives a welcoming and relaxed ambiance for up to 10 hunting lodge guests, featuring private access to 2 large spring fed lakes and low pressure hunting areas for the best Addax hunts in Texas. At our 3rd generation Cenizo Ranch, we believe in lasting family connections with a ‘back to basics’ approach. Both native and exotic species roam the landscape surrounding our rustic 1,200 square foot Cenizo lodge, where you’ll enjoy southern Texas hospitality at its finest coupled with unprecedented Addax trophy hunting. Experience for yourself and up to 8 people, this comfortable retreat at the end of your hunting day. Exotics tend to thrive in central Texas- and one stunning antelope that has flourished thanks to conservation efforts here is the Addax. With a bright white coat, a dark ‘baseball cap’ marking on top of their head, and a set of spiral antlers that grow over several feet in length- the rare and mysterious Addax is a prized trophy all over the world. There are many different ways you can approach a trophy Addax hunt with LONE OAK ADVENTURES, from choosing bow or rifle hunting, to methods like spot and stalk, blinds, or safari style. No matter what you choose, your Addax hunting package will be custom fit to you personally. From the desserts of the middle east and northern Africa, the Addax – or white antelope – is all but extinct in the wild, but conservation efforts, especially in the grasslands of Texas, have all but eliminated poaching for these magnificent spiraled antlers. LONE OAK ADVENTURES practices safe and conscious hunting for all wildlife- native or exotic. Don’t waste time and money on an Addax hunt that keeps them cornered in one small fenced in plot. 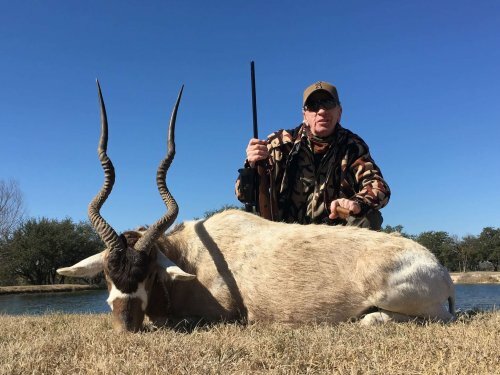 Experience the finest Addax trophy hunting in Texas as our expert hunting guides take you to the far reaching grassy hills of central Texas for an exhilarating, adventurous hunt you won’t soon forget! Active mostly during the early morning and evening hours to remain cool, the Addax’s diet consists of lush green grass, Texas scrub brush, and moisture rich tubers and melons. Because they can survive longer without water due to their adaptation ot desert-like conditions, a high-grade pair of binoculars to spot their spiraled antlers in the grasslands proves the best spotting method. The average longevity of an Addax on the various LONE OAK ADVENTURES ranches is up to 19 years with proper hunting management. Although Addax gravitate towards hard packed sandy areas that will support their herbivore diet, the Addax is no stranger to the rugged limestone hills, sandy plains and basins of Texas. The Addax meander in nomadic herds of 5-20 members led by the dominant Addax buck. Able to smell impending rainfall from miles away, the Addax can change direction rather unpredictably.